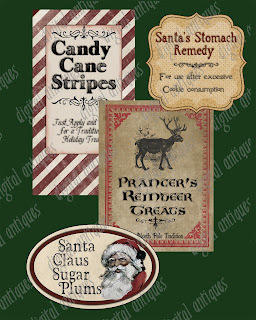 Big Brown Dog Primitives: Peek in Santa's Pantry! Did you ever wonder what Santa and the Mrs. stock their pantry with? Well I did, and I've let my imagination run wild and created a set of labels for those essentials they can't do without. 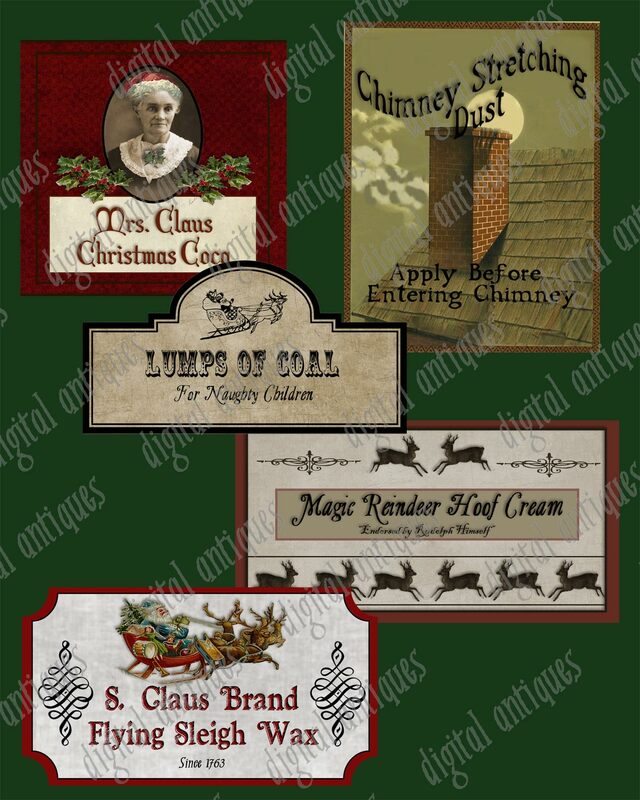 This includes Prancer's Reindeer Treats, Santa Claus Sugar Plums, Candy Cane Stripes, S. Claus Flying Sleigh Wax, Magic Chimney Stretching Dust, Lumps of Coal for Naughty Children, Mrs. Claus Christmas Cocoa, Santa's Stomach Remedy, and more. Three downloadable sheets, with 10 labels, plus 4 blank labels so you can add your own special ingredients. 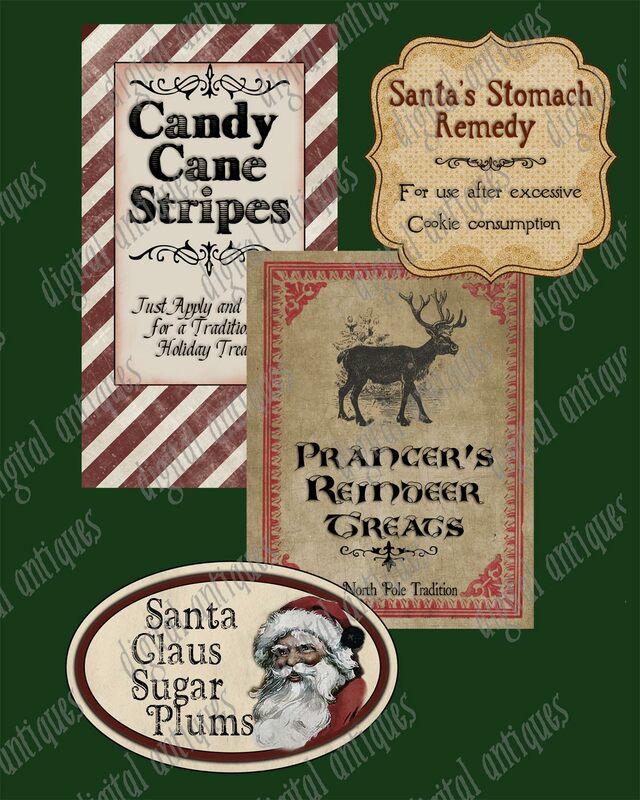 I purchased these and so LOVE them....I did a bottle with the Santa's stomach remedy....I actually just posted about it on my blog(and gave you credit!!!) along with some ginger bread ornaments I made....today I made the Frosty's instant snow.....on a HUGE glass cookie jar I found...I made snowballs to put inside....I'll be posting pics of that soon....thanks sooooo much!